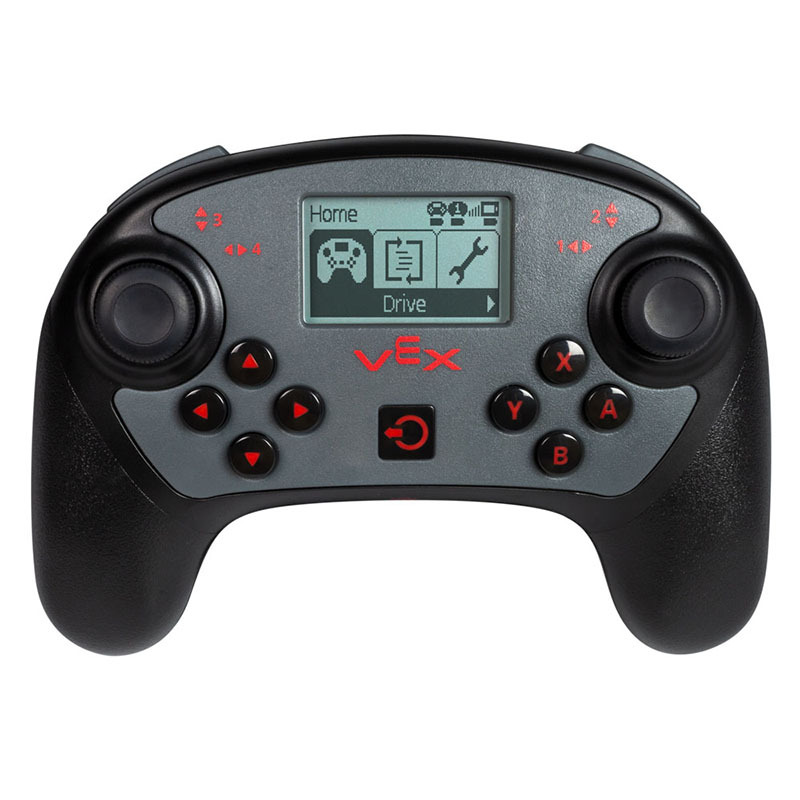 Press the square Power Button in the center of the controller to turn it on. 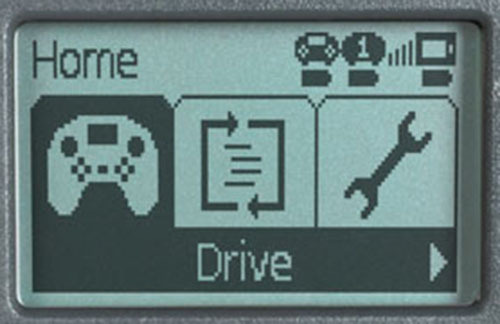 Use the Arrow buttons to highlight the Driver Control program's icon (highlighted in the image). Then press the A button to choose Drive. Press the A button again to choose Run. Press the B button to return to the previous menu, if needed. The rectangular L1 button on the front of the controller closes the claw. The rectangular L2 button on the front of the controller opens the claw.